The ultimate way to get through Humpday. If you, like many F&M students, are looking for a quick lunch on campus that satisfies your hunger and wallet, then there’s only one place to go. 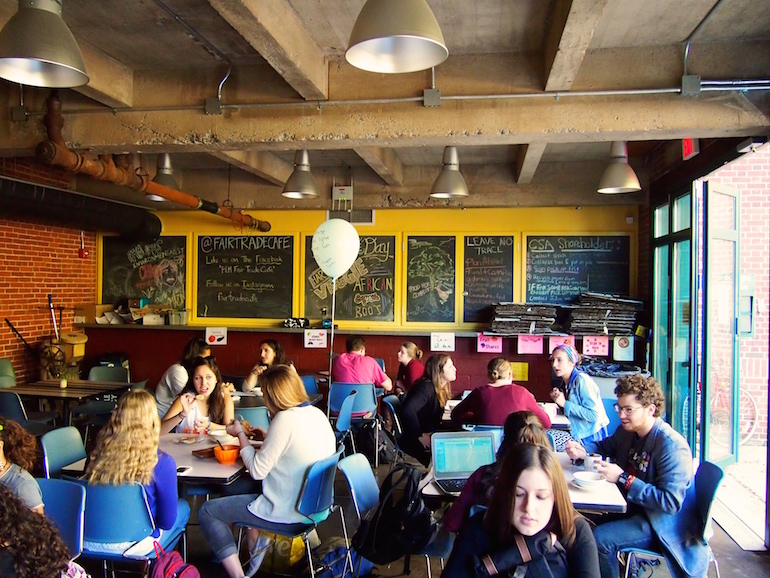 Hopefully you don’t have a Wednesday noon class because Fair Trade Cafe is what you want – nay, deserve in an on-campus meal. 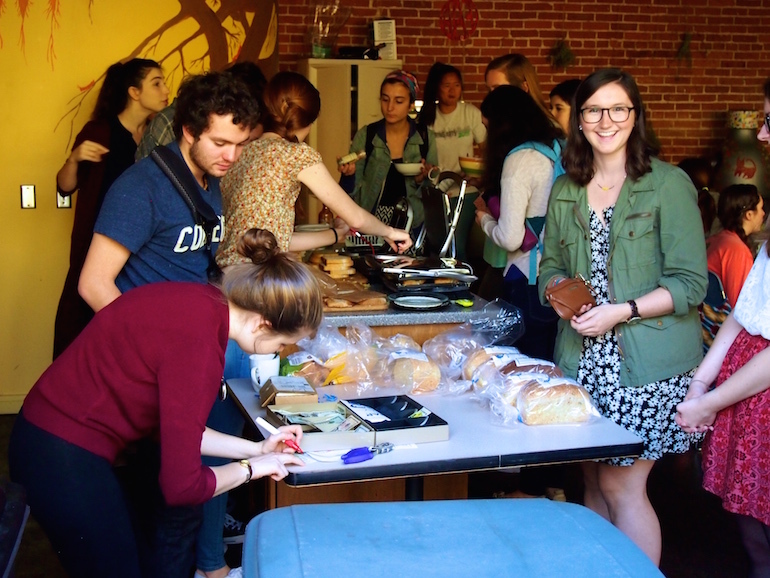 Located in the walk-in atrium of the Wohlson Center, Fair Trade is a student-run dining option with the mission of providing locally sourced, wholesome soups and grilled cheese sandwiches at a fair price. Members of the Environmental Action Alliance (EAA) take time out of their Tuesday evening meetings to prepare the soup for Wednesday’s cafe and run the operation by cooking, serving, manning the register, washing dishes, and providing an inviting and lively atmosphere. 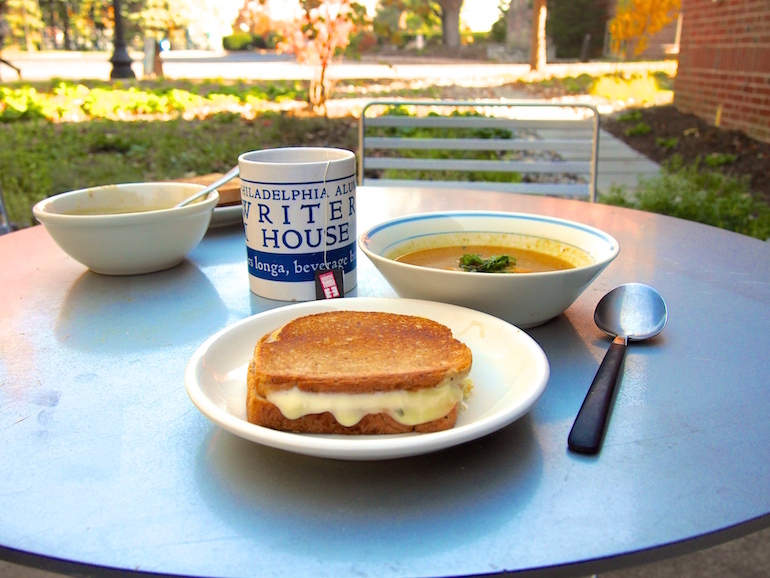 The menu changes weekly based on what’s in season, but you don’t need to be an environmental science major to crave their rustic soups and perfectly melted grilled cheese. The soups are hearty, herbaceous, accommodating of dietary restrictions, and inspired recipes that will expand your culinary horizons to include new vegetables and flavor combinations. The grilled cheese is prepared to order, using delicious local, organic bread, which you can buy by the loaf at the front counter. 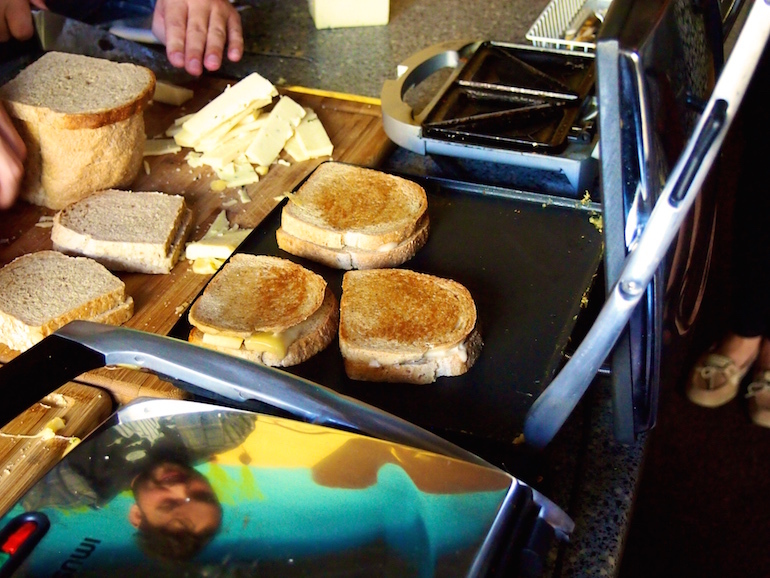 Sandwiches have a perfect ratio of crunchy, toasted bread to flowing ribbons of melted cheese. The type of cheese changes too, often to complement the soup. You may be thinking, “but Ben, I’m a broke college student that doesn’t carry cash on me and sticks to my meal plan”. 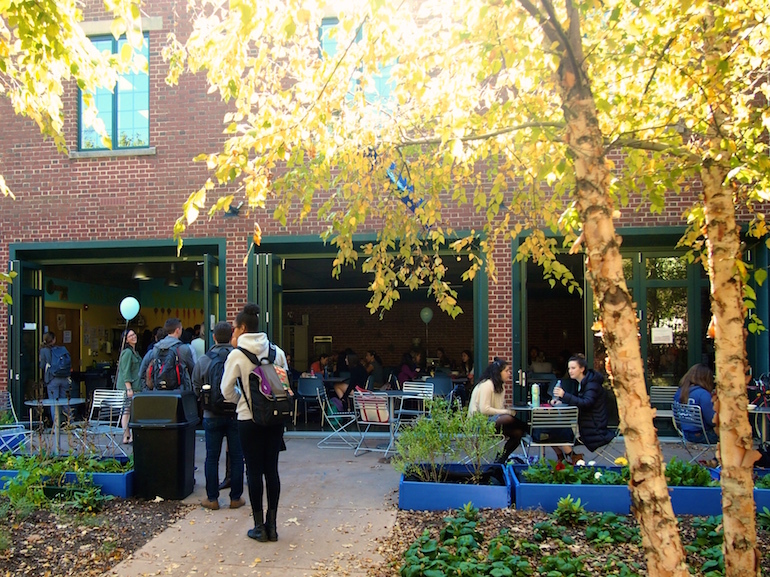 Well, reader, while currency in college is often reduced to meal swipes and Venmo, the total bill for a meal at Fair Trade is a measly $4; far less than you’d pay for a swipe or flex deal. You can’t beat that value because Fair Trade is not a profit-driven establishment. You get exactly what you pay for. Plus, with their frequent customer card, you can soon be on your way to a free meal. Not only do you get a great meal you can feel good about eating, but Fair Trade also provides a space for the F&M community to flourish. Chat with the cool cats manning the panini press, say hi to some of your favorite professors, bump into that fun person you met in your 8am class, play with students’ pets on the patio, learn about what new things the EAA is up to, and grab some lunch and coffee with your friends before your afternoon class. Plus, any regular of the cafe can tell you how the stress of a Wednesday dissipates with each slurp of their delicious soup.